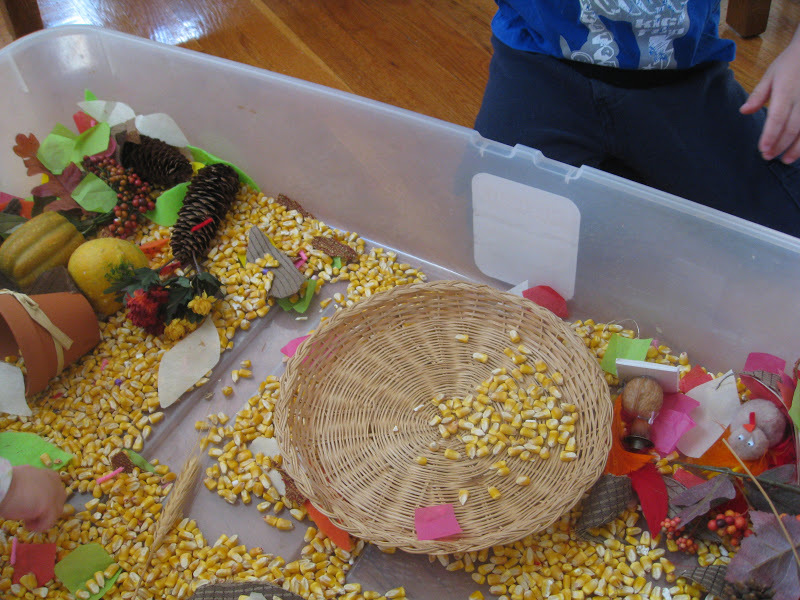 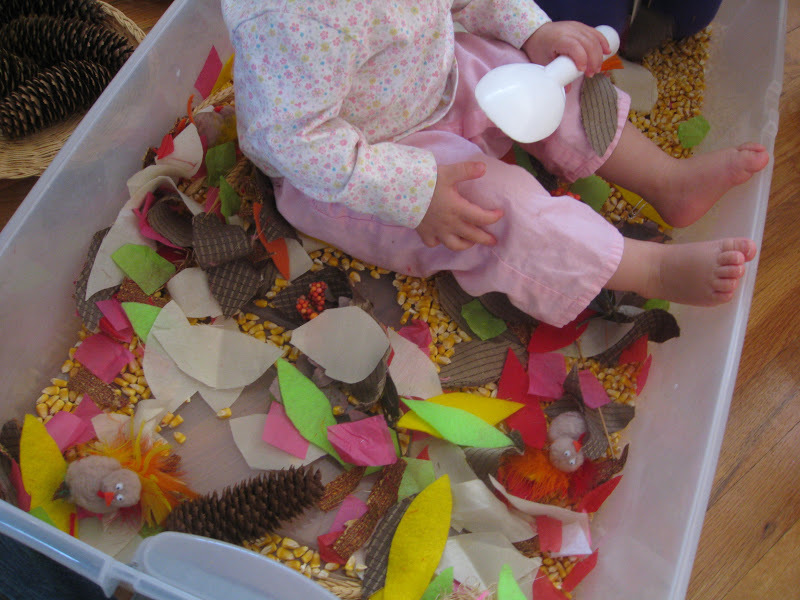 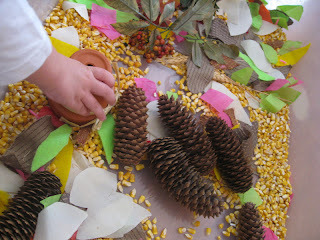 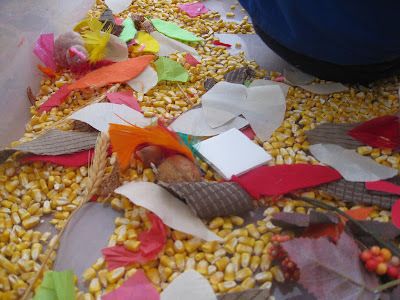 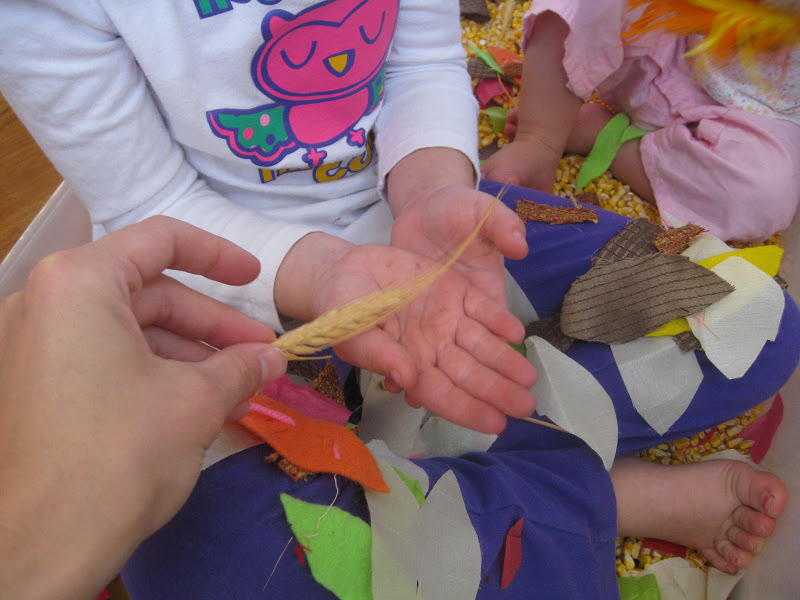 Sensory Bins are so great for exploring textures and fostering imaginative play. 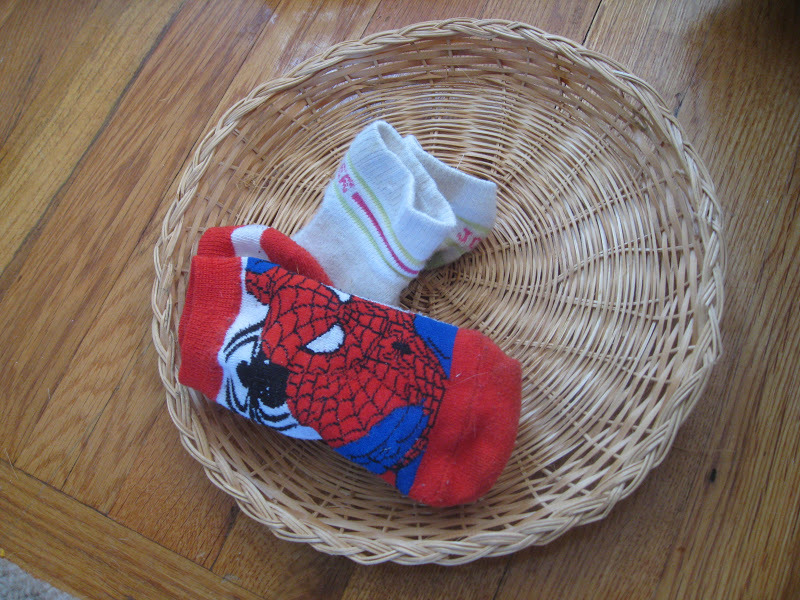 They are so easy and inexpensive to make up and can go in any theme...If your son loves superheros, Throw Spiderman into a bin of rice with a couple of Halloween spider rings, and you have an instant play area that can last all day long! 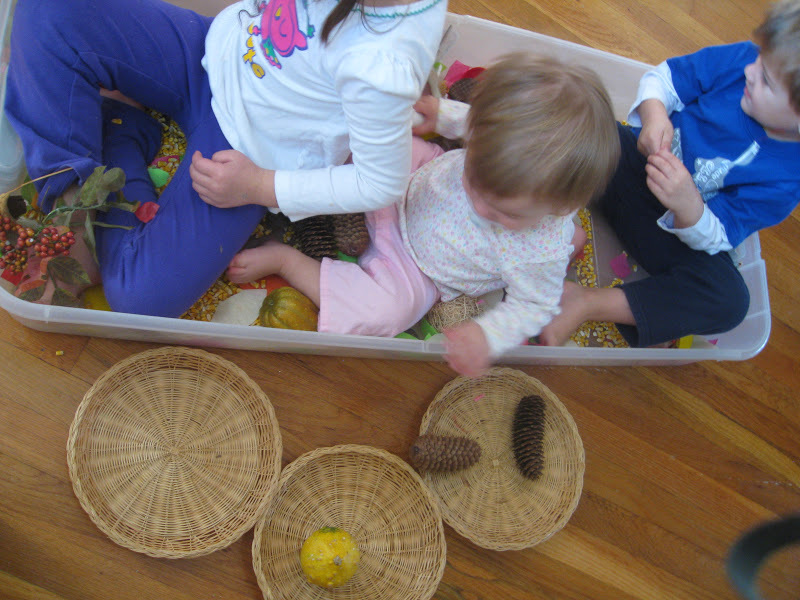 While the kids are exploring, imagining, fostering creativity, they are learning so much...building their confidence, language skills, fine motor dexterity...and SO much more! 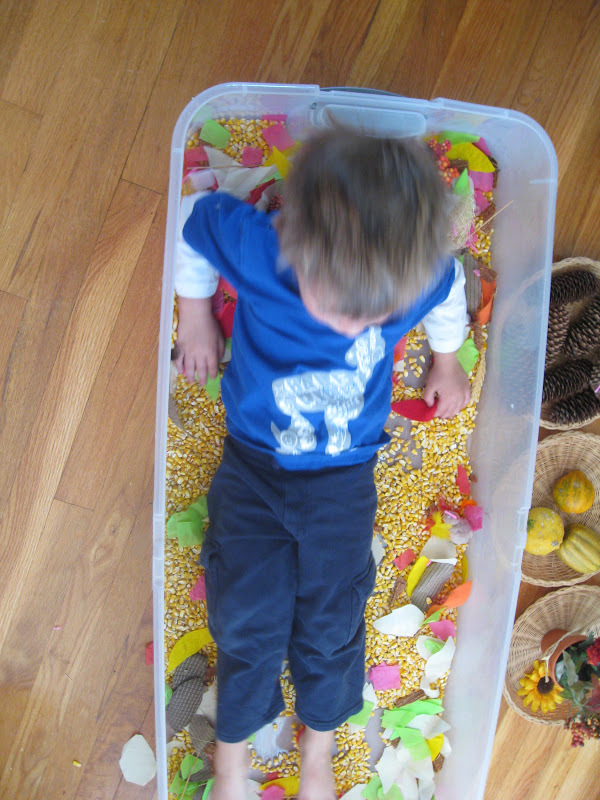 Sensory bins can be made from any dry or wet material, water, shredded paper, packing peanuts...The possibilities are endless. 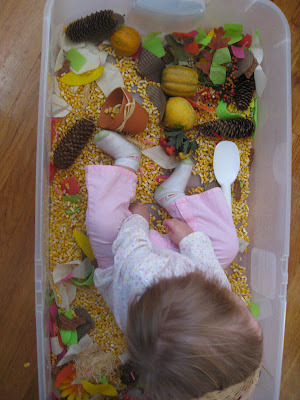 Be prepared for corn/rice/split peas to scatter all over the floor. Baby Girl thought it would be more fun to climb INTO the corn bin! 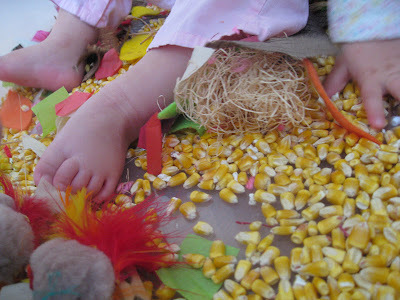 It feels great on the toes! 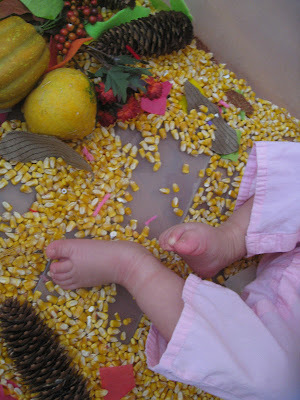 Cute baby toes, YES, we need more pictures of those! Big Sister started the sorting game. 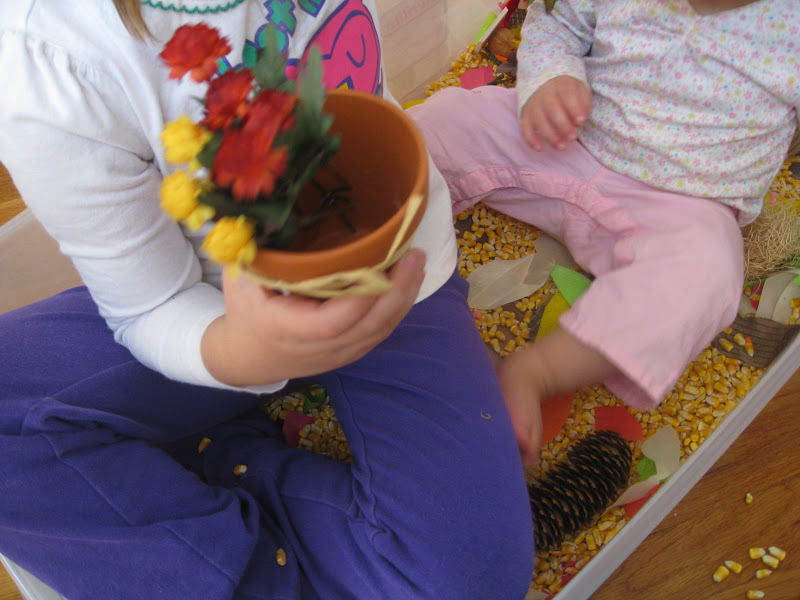 She collected all of the flowers into this pot. How many kids can you fit into a bin? It looks like the answer is three. 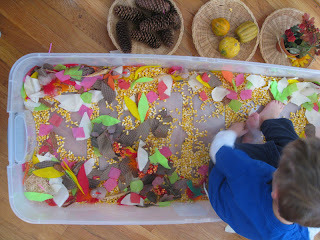 There were lots of colors and textures to explore in this sensory bin! 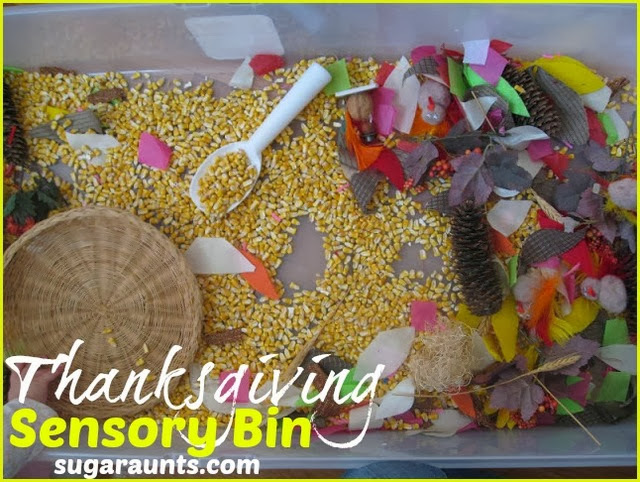 Scooping, Sorting, Exploring Senses, Fostering Creativity, Building Language Skills, Working Fine Motor Skills...We did so much more than just playing with this fun Sensory Bin! 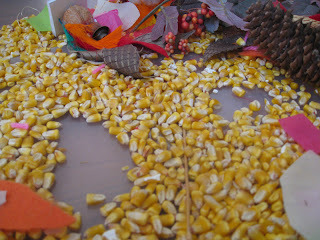 I am Thankful for Today! 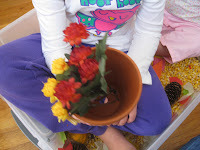 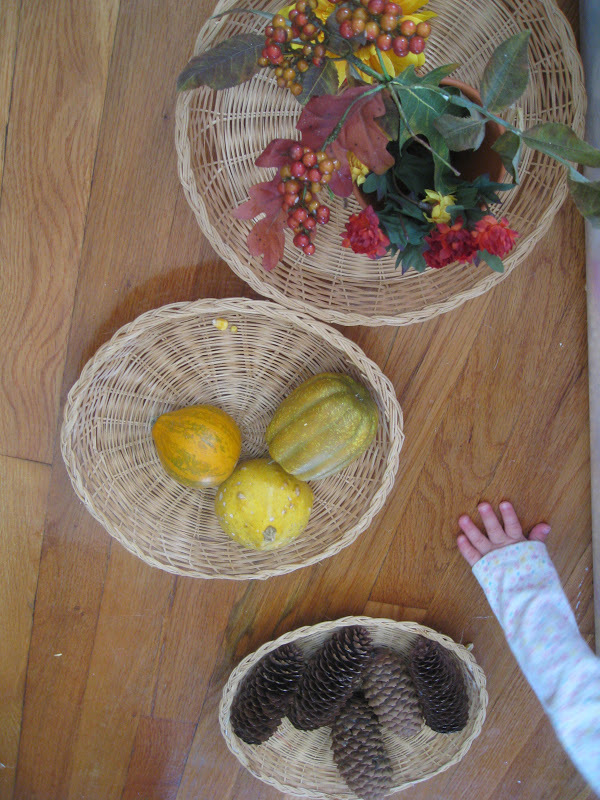 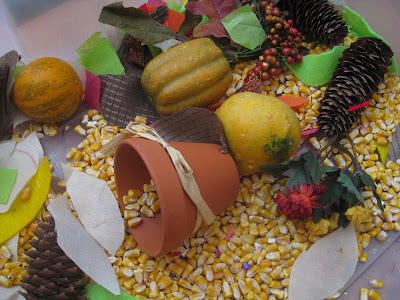 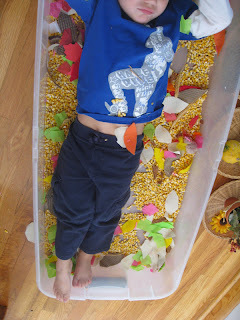 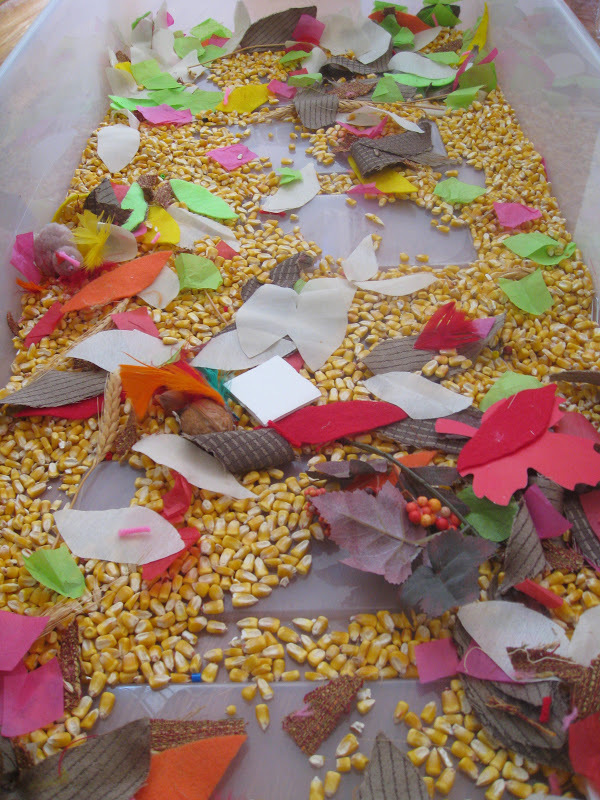 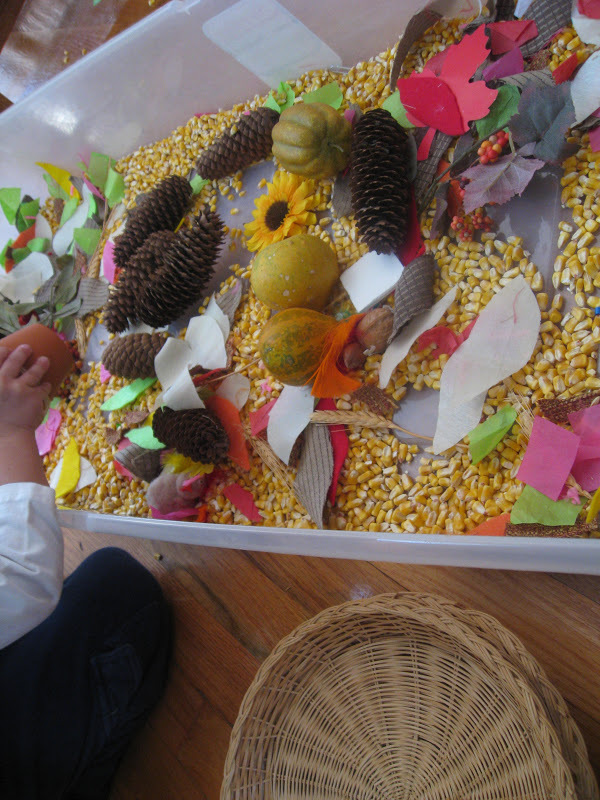 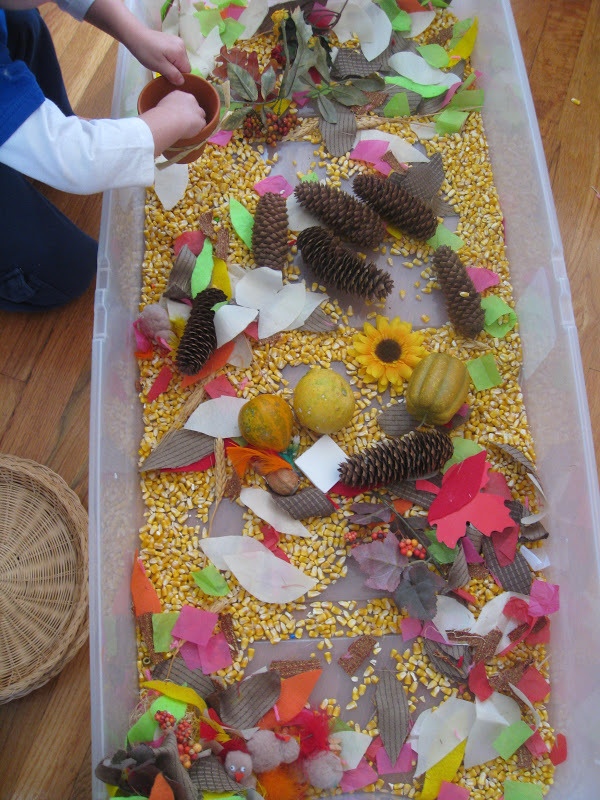 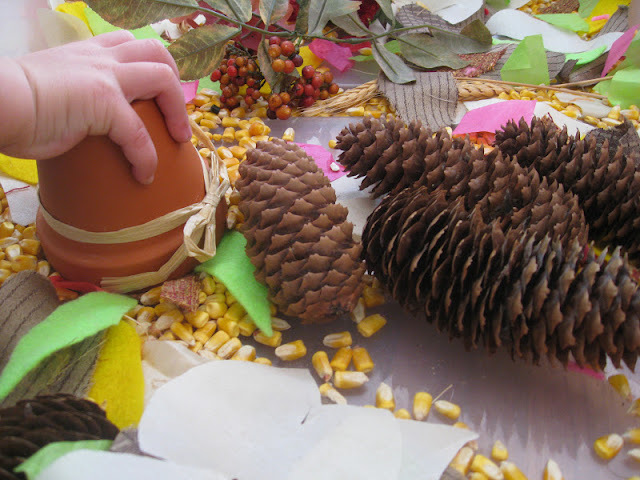 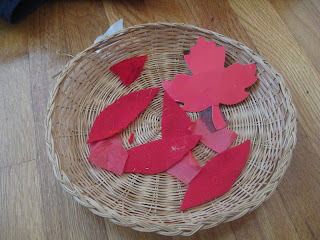 Have you made a fall themed sensory bin? Share with us on our Facebook page and let us know what you did!